Adventure Kayak – Not Just For Sea Kayakers! Editor’s note: This post is a follow-up to The Last Sea Kayaker which appeared on this website on March 17, 2014. I’ve been receiving Adventure Kayak for almost two years now, and it makes me very happy. 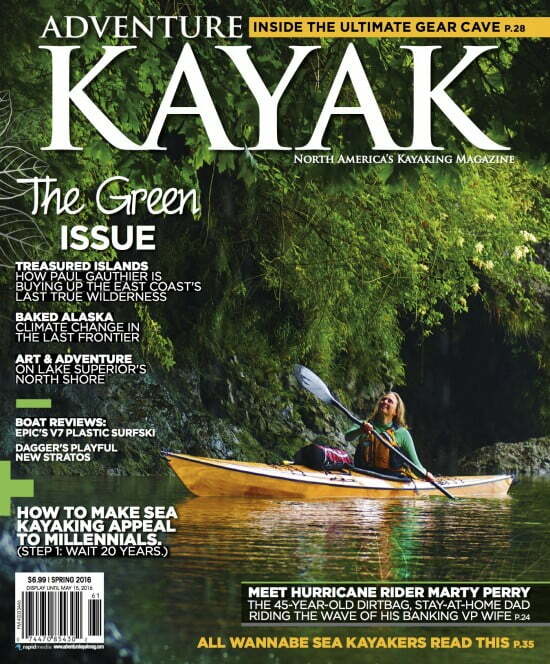 After Sea Kayaker Magazine shut down I was excited to receive my first edition of Adventure Kayak. What a cool magazine! Great photography, interesting articles, and a positive, inclusive vibe. With regard to photos, I like that they showcase stills with captions from a variety of locations. 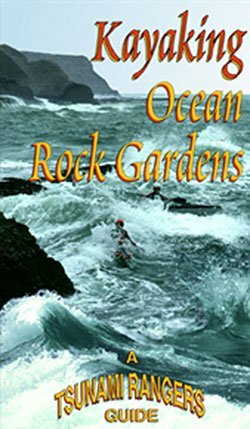 The messages conveyed are variously uplifting, thoughtful, or humorous and show the sport of sea kayaking over a broad spectrum. I appreciated the message in that first issue about the editorial shift from service to stoke: why we paddle is more important than how or where. I couldn’t agree more. In that issue I was interested in the article about kayakers who help scientists with research in order to understand ecosystems in aid of stewardship. One of the things I love about kayakers that most of them take stewardship seriously. Many of us clean up the environment regularly as an aspect of our sport. Check out PacOut Green Team as one prime example. I enjoyed reading about the first Bay of Fundy Sea Kayak Symposium. It was great hearing about the challenging conditions: Paul Kuthe doing “a series of cartwheels that had onlookers cringing at the audible thuds of his bow and stern striking submerged rocks”. Yeah, baby! It was also good to know there were a variety of classes and conditions so not everyone got creamed. And as with the partnership between kayakers and scientists, it made me happy to hear about another opportunity for the kayaking community to help others as the Fundy area is socioeconomically depressed and the organizers of BOFSKS hope to reinvigorate the region’s tourist industry through the symposium. That was my first issue. Subsequently, I have continued to enjoy Adventure Kayak Magazine. Virginia Marshall does a great job as editor and I love her articles. Her prose is simple, clear, and unpretentious. I also enjoy Tim Shuff’s pieces. Articles like “We Don’t Need No Education” and “Finding the Real Florida” really appeal to me, speaking of why we paddle. In fact, I enjoy all the magazine’s writers. One of my favorite issues of the magazine to date is The Green Issue, Spring 2016. I ate it up. From the photo of the Ontario Sea Kayak Centre’s gear cave (so organized! ), to Neil Schulman’s piece on “Succession Planning” (that’s an interesting way to think about kayak touring and it was nicely followed up by Charlotte Jacklein’s “Catching the Late Show” encouraging us to go kayak camping), to the story about Nova Scotia’s Islands of Enchantment becoming protected as wilderness, the whole issue just felt so positive. Adventure Kayak’s message is simple and consistent: go out and have fun! See how beautiful the world is! Look how people are making positive contributions to make sure we can protect beautiful places so we can keep going out and having fun! There’s so much good stuff here you don’t have to be a kayaker to enjoy the magazine. One other thing I‘d like to say about Adventure Kayak: I love that it comes out four times a year. I dislike getting monthly issues of any magazine: it’s just too much and I don’t have time and it kind of bothers me to have to toss them once I’m done. Four times a year in accord with the changing seasons is perfect for me. So that’s my two cents on Adventure Kayak: positive, inclusive, philanthropic, articulate, and timely. Thanks, guys, for all you do! Tim Shuff’s article on expert-itis in the Fall issue airs John Dowd’s thesis that a parasitic host of coaches, educators, and experts are helping suffocate sea kayaking. Noting that long-kayak sales are down by half and that waters once teeming with kayakers are now empty, Dowd and Shuff ascribe much of the decay to the “bureaucratization” of the activity by people obsessed with hierarchies of training, education, and certification. But another, simpler explanation would postulate that sea kayaking is undergoing an inevitable contraction of its numbers back to the quite small but sustainable population of those mariners really involved in the activity. This hardy group– the “natural constituency” for open-water kayaking– is what remains after the crowds drawn in by industry trade group hype and boosterism have all gone home. In-line skating, sailboard windsurfing, soon SUP, to name just a few, have each seen or will see a similar meteoric rise and then the inevitable erosion of interest, leaving the field free for the more committed to enjoy those activities in relative and welcome obscurity. Dowd and Shuff can rail against their imagined coach/instructor bogeymen, unaware of the irony that the industry boosterism that artificially inflated the population of “sea kayakers” also inevitably generated that selfsame host of bureaucratizers and functionaries that so arouse their ire. Dowd himself was a founder and prime mover of TASK, the Trade Association of Sea Kayaking; if he requires someone to blame for sea kayaking’s alleged case of expert-itis, he need only look in the mirror. Hi Carl the Curmudgeon! Always good to hear from you. Sorry it’s taken so long for me to respond. I remember the poems you shared on the comment thread on our Sea Poetry https://tsunamirangers.com/2012/08/06/sea-kayakers-sea-poetry/ post so fondly. Such great choices! So, about your comment above. I’ve got nothing to say about John Dowd and Tim Shuff except that they’re both good writers and I’ve enjoyed reading their stuff. I always enjoy reading your stuff as well. As a result of my training in both martial arts and yoga, I’ve let go of much of the “burden of opinions that [I’m] not obliged to carry” (Thomas Merton), and I’m always interested to hear what people have to say about the things that I find interesting, like sea kayaking. I don’t tend to agree or disagree; I observe and then file away for future reference. I think the contraction of numbers of sea kayakers supports John’s thesis of homeostasis. As far as expert-itis goes, it is not unique to sea kayaking. I think people who think of themselves as experts on anything have a lot of fun being experts. There’s nothing wrong with that. Those of us who find them silly and annoying just hang out with different people. And I’m glad that the numbers of sea kayakers is dropping, if that is in fact the case, although it doesn’t seem so from where I sit. That just means that the coast is literally clear for the rest of us. It’s kind of like backpacking. The craze came and went, and though there are still a lot of backpackers around, places like Desolation Valley, which were crawling with people back in the day, are relatively uncrowded, although I have to say, the last time I backpacked (on the Lost Coast) the place was a zoo. I’d be interested to know what serious topics you’d like to see seriously discussed in a sea kayaking forum. I try not to take things that seriously myself, but I’d be happy to post anything you’d like to write for this website. I’m sorry you miss Sea Kayaker, and I get it, but A. clearly the publication had had its day, and B. you could start up a blog or zine that serves people who feel the way you do. You might find a lot of friends. Meantime, as I said, if you’d like to put something out there via this website, I’d be happy to give it a push. If you have read the most recent (early summer 2016) issue of Adventure Kayak, you will have encountered the most curious article, “Confessions of a Nervous Novice”, by Lauren McCafferty. She develops outdoor programs for the parks of Toledo OH. Her article is a response to Tim Shuff’s “We Don’t Need no Education”. McCafferty has chosen to believe Shuff’s (and John Dowd’s) assertion that a host of parasitic educators, instructors, and certifiers act as gatekeepers to kayaking, but instead of bemoaning this very dubious “fact”, she is persuaded on the basis of no known evidence that this situation is both true and desirable–you’ve got to read her arguments for yourself to get the full flavor of her belief in this alternate kayaking universe, but here are a few brief quotes: “…many kayakers…get bogged down by all the training and certification hoops they’re asked to jump through.”, and, “The thicket of certifications and acronyms is so unavoidable that newcomers might not even see that other route.” This other route–becoming familiar with open-water kayaking via reading the manuals; learning about wind, weather, tide, and the dangers of cold water; and gradually introducing oneself to more demanding conditions, either solo or with a few experienced partners–this she calls the “caveman” approach to learning about kayaking. McCafferty welcomes all the hoops, though, because she is a Millennial, and, like many Millennials, she has been raised, she says, by helicoptering parents, who have made her insecure, anxious, timid, nervous, too terrified to buy a boat and begin to start paddling on her own. But certifications are the answer: “Certifications give me something I value above thrill: peace of mind. They foster confidence in my ability to be safe, to live to paddle another day……At the end of the class, the instructor gives me the pat on the back that I need to feel secure….Credentials empower the meek of heart to conquer the emotional barrier to paddling,”. I did not make any of this up–it’s all right there in the article. The bottom line is that Adventure Kayak prints some truly amazing stuff, and that I absolutely never wish to paddle with Lauren McCafferty– she would make me insecure, anxious, timid, and very nervous. And I don’t think she will be paddling for very long–just not the type. Hey, Carl, I haven’t got around to reading the latest issue of Adventure Kayak, although it’s lying on my dining room table. So I haven’t read Lauren’s article. Based on the quotes you’ve excerpted from her piece I have to say I don’t think she’ll be paddling for very long either. She reminds me of a client I used to have when I was still running my personal fitness training business. This poor woman had had a bicycle when she was a little girl. Apparently, she fell off the bike and her mother, a true helicopter parent, wouldn’t let her ride the bike ever again. My client had a fear of walking down the path from the bluffs on the coast where she lived to the beach. That’s why she hired me – so she could learn to walk down the path and get to the beach. I am not making this up. And may I say she never made it. But that’s another story. Still, I find it interesting that there may be an association between helicopter parenting and the “thicket of certifications” as Lauren suggests. It’s true much of our society is obsessed with security. Not in the world of the Tsunami Rangers, but many other places. It’s a pity people live with so much fear. Eric had a book which is still in the bookcase called “The Culture of Fear” by Barry Glassner. It speaks to this issue. First, I apologize for the time it took me to read Adventure Kayak’s Early Summer issue. I finally got around to reading it, and Lauren’s article. I’m curious to know what exactly about her article you object to. Is it that she presents herself in a way that makes you feel, as you say, that you never want to paddle with her? Or that you don’t think that she’ll be paddling for very long? She describes herself as timid, yet she’s searched out classes, certifications, and clubs to help her get into the sport, in spite of the fact she’s so poor she can’t afford to buy her own equipment, and she lives in *choke* Toledo. From where I’m standing, she’s shown initiative and courage. It’s hard for people, especially women, to break into a sport dominated by men that involves drowning as a potential consequence. I can sympathize with that. If I have an issue with her article it’s that she limits the routes to the water to two: the certification jungle and the “caveman” approach. In fact, as with everything, there’s a middle road one can navigate between the two and she left that out. In actual fact, there are as many routes to the water as there are kayakers. Each one of us travels our unique path, and Lauren is one kayaker expressing one opinion about the road that’s taken her to the water. It’s not my road (the kamikaze road). It’s not your road. But like she says, new people are paddling, even those raised by helicopter parents, and that’s okay by me. Recently, I received another comment on the post The Last Sea Kayaker by a kayaker named Dirk. You can read it at https://tsunamirangers.com/2014/03/17/last-sea-kayaker/ I think his comment has merit. Nancy, I look forward to reading Dirk’s comment. 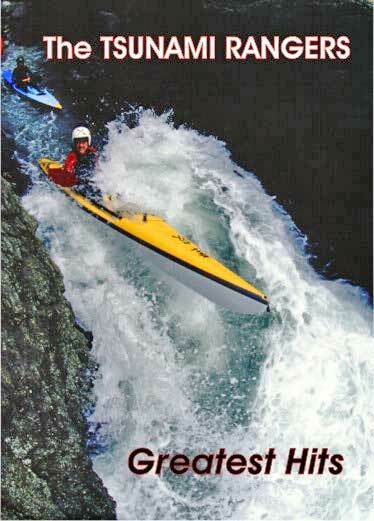 I just received and read the latest Adventure Kayak, and again was dispirited by its lack of gravitas. It is strictly now an organ of the industry, the manufacturers, puffed up with photos, filled with short blurbs on this and that, and absolutely no Letters to the Editor, because dialogue with Adventure just seems not to happen. This TR website, in contrast, is a public square, thanks to you! In a nutshell, my problem with Lauren is that she seems to believe that by receiving a piece of paper from somebody, after having attended some lessons and getting a pat on the back, having her anxieties calmed, she might now feel qualified for this very peculiar form of marine boating–“They say I am now OK to paddle open water, so now I must be OK to do this, and so maybe I will.” I have no sense that she actually understands what’s involved in safely paddling a tiny, narrow, tippy boat far from shore in choppy water, and what it’s like to be secure and comfortable inside her head that she fully knows what she is doing. My view is that longtime sea kayakers have internalized a full, realistic picture of being out there in a kayak, and yet can’t imagine not paddling. Unless Lauren somehow comes to that realization, I do not see her paddling over the years and decades. I read Dirk’s note, and then re-read that entire thread. I will stick like glue to my observations stated there: my contention that SK was the journal one read and saved and that actually influenced sea kayaking; that AK is the (industry- and government-subsidized, sole survivor) journal that one flips into the recycling bin within 15 minutes; and that there is only a small natural constituency for sea kayaking–people who paddle because they must, whether anyone else is out there or not. The thing I like about you, Carl, is that you’re so self-deprecating. You’re a crank and a curmudgeon, but you’re OUR cranky curmudgeon and we love you. I actually think that you’re right, certainly from your own point of view, although I really had think about it because (and maybe this is just my shallow blonde mind trying to wrap itself around an unfamiliar concept) it’s tempting to say, “Oh, he’s just an old curmudgeon and he doesn’t like change”. 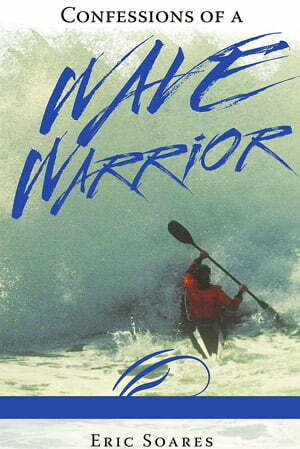 See, I found Sea Kayaker boring and I find Adventure Kayak interesting and that’s pretty much the bottom line for me. However, I don’t represent all kayakers for SURE. I don’t see that being industry- and government- subsidized is necessarily a bad thing, but I do understand that having advertisers can compromise any publication’s content for a variety of reasons. At least on this website people can say anything they want and unless it’s really ugly I probably wouldn’t ever edit or delete a comment. I also can see how it would have annoyed you to have your letter edited to the detriment of its message. I’m glad that we can offer a place for people to express themselves. And who knows, because things change maybe another publication will spring up more in the vein of Sea Kayaker. It could happen! Nancy, there is, I suppose, no problem with industry and government subsidizing kayaking journals if there are lots of journals. But what we have now is only one journal, like a giant magnet (actually probably a small magnet) that is now a sole-source place for news and info about sea kayaking. And no letters to the editor– why no letters? Maybe nobody gives a hoot anymore; maybe nobody thinks their letter will get published; maybe nobody thinks that AK is a serious enough place to publish a letter; maybe the letters arrive and are strangled to death in the editorial office–who knows? I agree totally with the theory that with the advent of Internet sites, blogs, whatever, and the likely attrition of the population of committed sea kayakers, there is room for only one journal now. That AK is that one journal is just sad. The magazine used to publish, if not letters, then its own pithy and usually tart responses to utterances by John Dowd and Derek Hutchinson, for example, that it thought were bone-headed. Everything now, though, is plain vanilla, with a few sprinkles on top. I checked out that issue to see about Letters to the Editor and you’re right, there’s no such column. After looking at the most recent edition of AK I do think that’s the intention of the “Rock the Boat” category or writings. Interestingly, in that latest issue, Rock the Boat contains a piece by Fiona Hough, a guide and instructor and a 25-year veteran of the sport. I haven’t read Fiona’s piece all the way through, but it seems that she’s at least partly addressing your concern that a piece of paper makes people think they can kayak when as we all know, experience is the best, and the only Real teacher. I like her title: School of Hard Knocks. That’s the school I learned in. I also like the subtitle: Should paddlesports training test our judgment or simply test our limits? My response would be a resounding “Yes!” Without judgment we die, and that goes for a lot more activities than just kayaking. I’ll look forward to that one.